The interior of this addition is comely along smoothly in this picture. 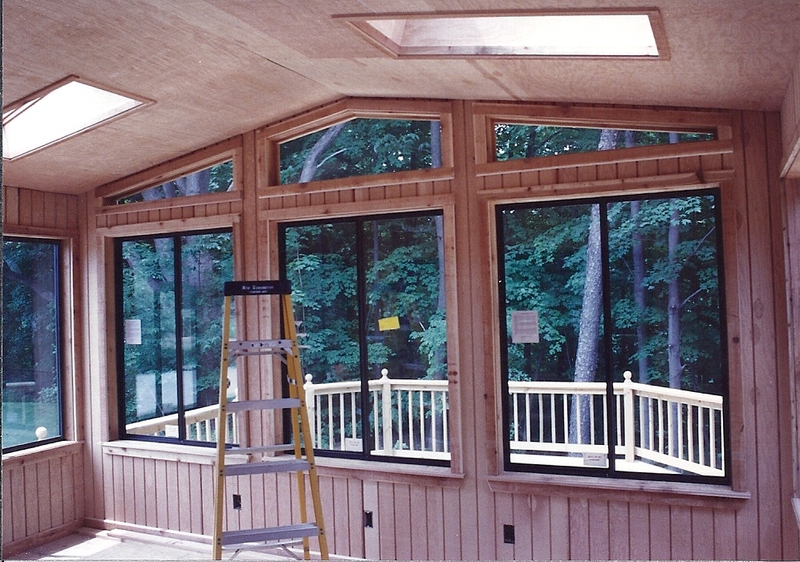 The electric has been run and the walls have been fully insulated, allowing for wood paneling to be installed. The wood window trim is also installed as the room is awaiting new hardwood floors.